​Dina Capitani is the creator of the Space Between the Notes, an intentional space to cultivate connection to self, nature and others. To this end, she facilitates and organizes a variety of programs in meditation, yoga, nature connection, team building, community building, circles of trust, mind/body practices, artist mastermind, collaborative music and art making and more. Her “Mindful Adventures In Nature,” guided nature connection experiences for kids of all ages, is being implemented in local nature camps and clubs. Dina is also an artist, musician, songwriter, a professional pet portrait artist and the creator of Doggie Doodles by Dina, a line of original caricatures of dogs and cats with captions representing over 75 different breeds, mutts and kitties. In 2013, Dina cofounded Compassionate Nashville, the local chapter of the International Compassionate Cities Campaign and her work with Nashville’s Metro Human Relations Commission brought Nashville international recognition as a compassionate city. A graduate of Belmont University, Dina earned a B.A. in Psychology with a minor in Music and English. Beyond her formal education, Dina has extensive training in yoga, meditation, human relations, diversity and inclusion, compassionate communication, peace circle process, interfaith, multi-cultural dialogue and civil discourse across opposing political parties. She is a member of United Religions Initiative Nashville’s Cooperation Circle and the Nashville’s Better Angels Alliance. In 2005 Dina began painting custom caricatures of people’s pets on t-shirts and developed Doggie Doodles by Dina, an original line of doggie and kitty caricature art with corresponding captions representing over 100 different breeds, mutts and kitties reproduced on various products such as refrigerator magnets, t-shirts, cards and more, and sold at fairs, festivals, pet retail and gift stores throughout the United States. From 2005-2009, Dina had a kiosk at the factory in Franklin where she painted and sold her Doggie Doodles by Dina product line. She also sold her unique magnets through over 20 pet retail stores nationwide. In, 2007 and 2008, Dina won runner for “Best Pet Artist” in Nashville Paw Magazine’ Reader’s Choice Awards. In 2011, Dina entered into an agreement where 79 of her Doggie Doodle Designs were licensed for distribution on various products worldwide. In 2012, eleven Doggie Doodles were featured on t-shirts for the cast readings of “It’s A Ruff Life” musical by Jessie Goldberg and Gene Levine performed at Z. Alexander Looby Theater, Nashville, TN. 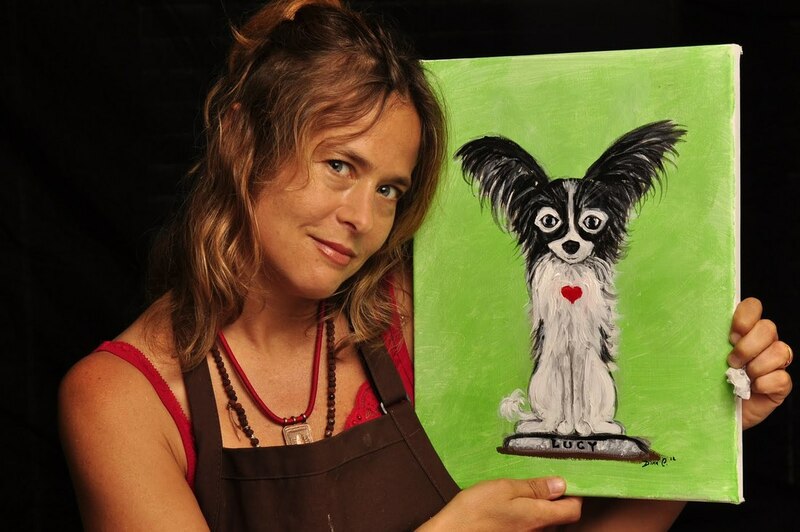 Dina’s custom hand-painted pet portraits continue to bring much joy to pet lovers everywhere. In 2013 and 2014 Dina worked with the Metro Human Relations Commission and was in charge of bringing the community together through the vehicle of the Compassionate Nashville Campaign (that she co-founded and coordinated) which was supported by former mayor Karl Dean and current Mayor Megan Barry (when she was a city council member) in the form of a city resolution and the Metro Human Relations Commission’s fiscal sponsorship. While with Metro Dina helped Nashville earn international recognition as a “Compassionate City,” through various creative initiatives including organizing Nashville’s participation in the International Compassion Games (where cities compete on reported acts of kindness, number of dollars raised for nonprofits, number of volunteers, hours and people served); Writing and Recording the Compassion Games Theme Song (which is being used worldwide to promote the Compassion Games); and organizing and hosting a monthly “Cultivating Compassion” series at Scarritt Bennett Center which featured music, community guest speakers and round table discussions on best practices around compassion. 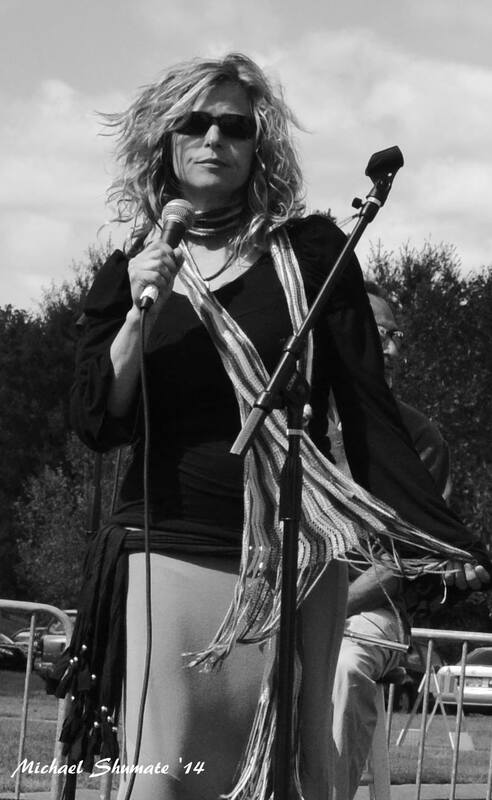 In 2012, Dina co-created and hosted the Compassionate Coffeehouse, a revolving monthly open-mic conducted in various Metro Nashville community centers, churches, parks, art galleries in various different neighborhoods, whose purpose was to bring the community together in a creative forum where people were invited to express themselves through art, music and poetry with the theme of Compassion .